We are now back to Nova Scotia and will try to see it in more depth. There is a lot of French influence here. Most of the museum plaques and road signs are in both English and French. We haven't found any people yet who speak only French but many are bilingual. 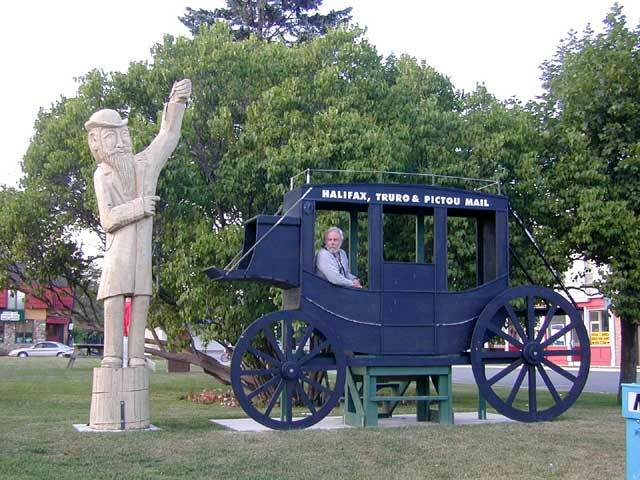 The town of Truro has a unique decoration. They have lost many of their elm trees to Dutch Elm disease. Many of those trees that have been lost are now decorating the streets of the town. 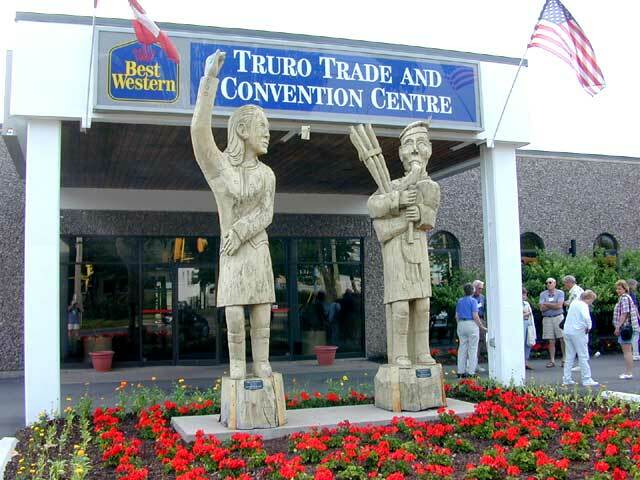 They have been sculpted into statues of people that were important to the history of Truro. 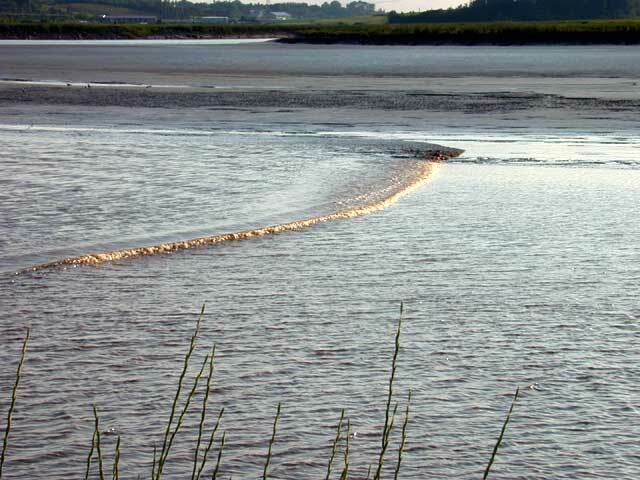 Truro is also famous for its tidal bore. When the incoming tide pushes its way up the river it is preceded by a wave created by the opposing flow of the river. This wave can be up to three or four feet high depending on the height of the tide. Unfortunately it was only about eight inches when we were there. But, even at that, it was impressive to see a single wave moving up the river at a speed faster than you could keep up with. 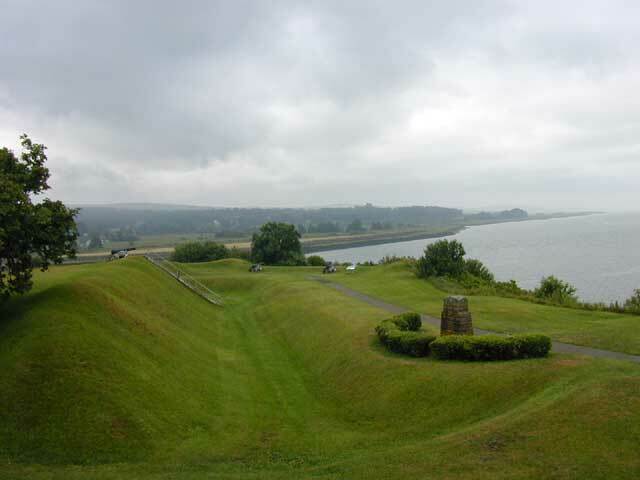 This is a very old fort that guarded Annapolis Royal. Its earthworks date back to 1702. Both the French and the British had their colonial capitals here. 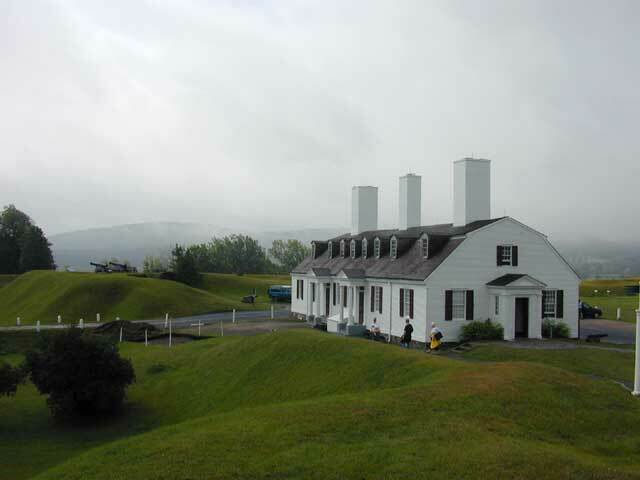 There is not much remaining except the officers quarters that have been restored, and a powder magazine. The bastions and ravelins of the earthworks are still in good condition with some canon mounted as examples of how the fort would have been. It has an excellent display of the history of the area in the officers' quarters. Settled in 1753 it quickly became a major fishing and shipbuilding center. Its fishing schooners sailed the Grand Banks in search of cod. It is the location of the Fisheries Museum of the Atlantic, an excellent presentation of commercial fishing in the Canadian Atlantic. Well worth seeing. 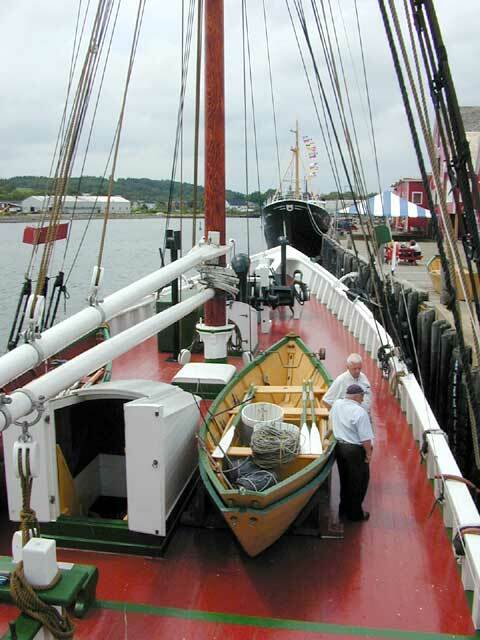 A restored fishing schooner is dockside along with a steel hulled trawler, both of which are open to the public. 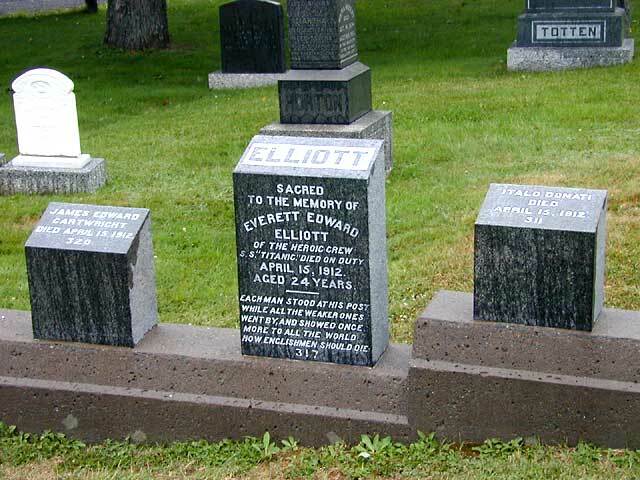 When the Titanic went down in 1912, several ships from Halifax were dispatched to search for bodies. A few of these were buried at sea but most were returned to Halifax where they were processed. 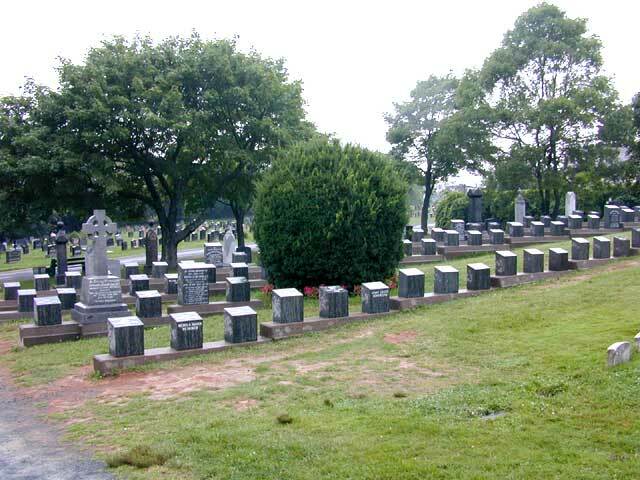 Those that were not claimed were buried in a special section of a Halifax cemetery. Many were not identified and their markers had only a number. Others were buried there because their relatives wanted it, and had special inscription on their markers, and some even had special markers. The marker shown on the right below has the inscription "EACH MAN STOOD AT HIS POST AS ALL THE WEAKER ONES WENT BY, AND SHOWED ONCE MORE TO ALL THE WORLD HOW ENGLISHMEN SHOULD DIE". He was of "THE HEROIC CREW, S.S. TITANIC, DIED ON DUTY". 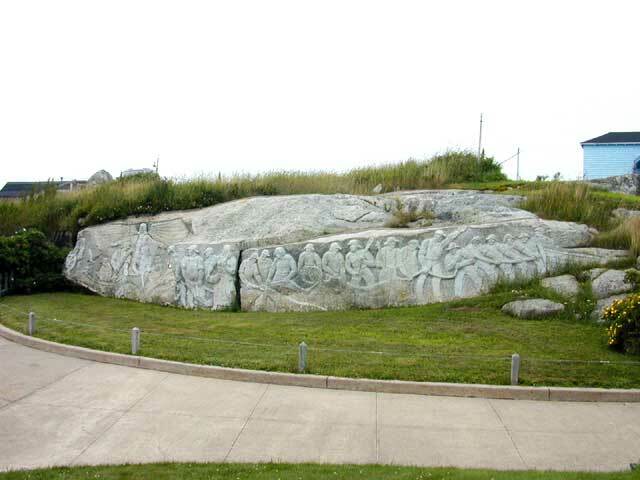 A local artist / fisherman did these stone carvings. One morning he told his wife that he saw people in the big rock behind his house and that he was going to show them to everyone. That is what he did and created this monument. Peggy is holding a basket that contains her blouse.